A cruise holiday could be ideal for seniors and retirees with exotic destinations and varied on board activities. If you’ve never been on a cruise, you perhaps don’t quite know what to expect from one. Cruising is completely different to traditional holidays and it has a lot to offer retirees. If you’re considering it, then read on to discover a few tips for finding your ideal cruise holiday. Choosing where to go isn’t as simple as it is on a standard holiday. Where normal holidays usually involve choosing only one destination, cruises often span several countries. Choosing the part of the world you’re most interested in might be the best call, but perhaps a different area is more well-known and highly regarded for its cruise holidays. Or perhaps the countries surrounding your favourite destination don’t particularly excite you. Look at a cruise holiday’s entire itinerary to make sure that the ship spends enough time in the places you want to see. If it doesn’t, maybe you should consider a different part of the world. You can go on cruise holidays in most parts of the world, but some coastal regions lend themselves to cruises more than others. Mediterranean cruises are very popular because the Med is home to some of Europe’s most beautiful towns and cities, such as Santorini, Corsica and Sardinia. The Caribbean is another popular cruise destination, as passengers are afforded the opportunity to skip from island to island, getting a flavour of each country along the way. 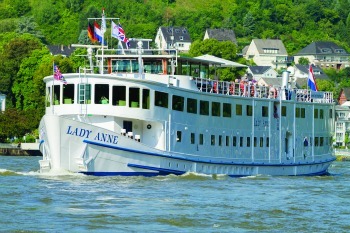 However, not all cruises are sea cruises, and it is possible to travel to countries deep inside a continent by embarking on a river cruise. If you’re particularly interested in mainland and northern Europe, then a river cruise down the Danube might be right for you, as the river passes through 10 countries, including Germany, Austria, Romania and Hungary. 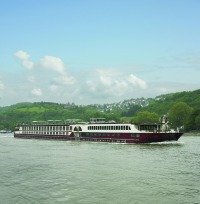 If European river cruises are what interests you most, then the The River Cruise Line has a large range of cruises to choose from. Some of the big cruise liners offer as many as twenty different kinds of cabins. As with hotel rooms, the bigger and more luxurious the cabin is, the more expensive it will be. But most people understand what they’re paying for with a hotel room, whereas cabins can be a bit of a mystery. While all hotel rooms should have windows, not all cabins do. In fact, the cheapest option will be an inside cabin, which is in the middle of the ship where a window (or porthole) is not an option. The cost increases as you choose outside cabins that do have windows. Work out whether or not you need a window; if you don’t, then choosing an inside cabin is a great way to save a bit of money. If you want to go all out, you’ll be hard-pressed to find a cruise ship that can’t accommodate you — after all, luxury is their business. Many cruise ships have balcony cabins or veranda cabins that give passengers the best views on the ship. However, you should expect to pay significantly more for the veranda or balcony options, so only consider these options if you know you will spend a lot of time in your cabin. You may also need to consider disabled access. Although disabled passengers tend to be well catered for on cruise ships, the layouts of some make it impossible for cruise liners to offer disabled access to every section. If your movement is limited, or even if you’d just rather avoid a lot stairs, then make sure that your room is close to a lift before you book your holiday. Some of the cheapest cruise deals are found online, but take extra care when booking your cruise holiday online, as some websites do not give customers a disabled-access option or an adequate platform to explain their unique needs. If you have special requirements, it’s highly recommended that you talk to an advisor or sales rep before putting down a deposit. Most cruise ships will offer additional services, which cost a little extra. Spa treatments are a common additional cost, with massages, skin treatments and manicures offered on ships. Exercise classes are also available on most ships, with the usual spin classes, yoga and Pilates on offer. Excursions are another additional cost, and they are absolutely integral to the cruise experience. Talk to the reps on your ship to find out all of the available excursions. All of these additional costs can add up, however, and as you usually pay for it all at the end of the trip, you could be in for a nasty surprise if you overindulge. Tipping is another additional cost. Most cruise liners have an official policy regarding tips or service charges, so make sure you read up on this or ask someone on the ship if you’re unsure about it. Some ships include a standard service charge on your bill at the end of your trip, while others give you an envelope and leave the tip up to you. Etiquette and dress code also vary greatly from ship to ship. Some have very formal dress codes and others are very relaxed. However, even many of the more relaxed cruises will have at least one formal dinner, which will require guests to wear tuxedoes, suits or dresses. This is usually a magnificent occasion and it’s a great excuse to get dressed up, so embrace it and enjoy it. Whichever cruise you go on, be open to conversations with your fellow passengers. Meeting new people and making fast friends is a huge part of the experience, and it’s why many people keep going back on cruise holidays.